More than 60 years ago, in 1947, Jackie Robinson broke the racial color barrier and debuted as an African American Brooklyn Dodger. His story has been told countless times, but last weekend’s box office opening for the movie ‚Äú42‚Äù was a grand slam. The Jackie Robinson movie features veteran actor Harrison Ford and John McGinley, along with familiar faces Chadwick Boseman and Nicole Beharie. In honor of Jackie Robinson, the MLB has set April 15th as Jackie Robinson Day, where all players on both teams wear the number 42 (which has been retired league-wide, the 1st of which to have been done in all sports). Jackie Robinson’s legacy is one in which barriers were broken and a new age of standards were being set. Here at Tungsten World, we love to here stories of groundbreaking events that change the course of history. Though tungsten carbide has been used in light bulbs since the 1920s, it has only been applied to jewelry within the last 10 years. 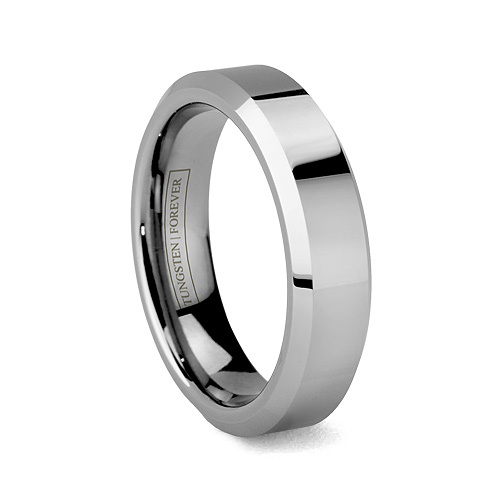 Rings made of tungsten carbide had many realistic advantages (such as resistance to scratches and permanent polish), but its acceptance to buyers was met with skepticism due to emotional attachments towards traditional metals. Gold and silver dominated the ring and wedding band industry, and continues to be one of the most sought after rings for jewelry gifts and newlyweds. But as time went on, more and more jewelry customers began to see the usefulness of tungsten rings. The draw of a long lasting ring appealed to many in physical labor jobs, and the affordable price point made it a no brainer for couples trying to save as much as possible for their wedding day. Rings made of tungsten carbide are being slipped onto the fingers of more and more jewelry enthusiasts and married couples everyday and is widely accepted across the jewelry industry as a leading modern precious metal. If you have your reservations against anything that hasn’t been around for long or isn’t popular to the masses, just remember this: Jackie Robinson changed history because he was able to help the Dodgers win despite the racism and hate surrounding blacks competing with whites. The same goes for tungsten jewelry: if it’s beautifully crafted, can help you save a hefty amount of cash, AND last you a lifetime, it should be worn as jewelry! This entry was posted on Monday, April 15th, 2013 at 9:02 pm	and is filed under Tungsten Rings. You can follow any responses to this entry through the RSS 2.0 feed. You can leave a response, or trackback from your own site.